When comic book readers think of gun-toting vigilantes, they tend to picture intensely capable antiheroes who use their military training and an arsenal of weapons to wage a one-man war on crime. 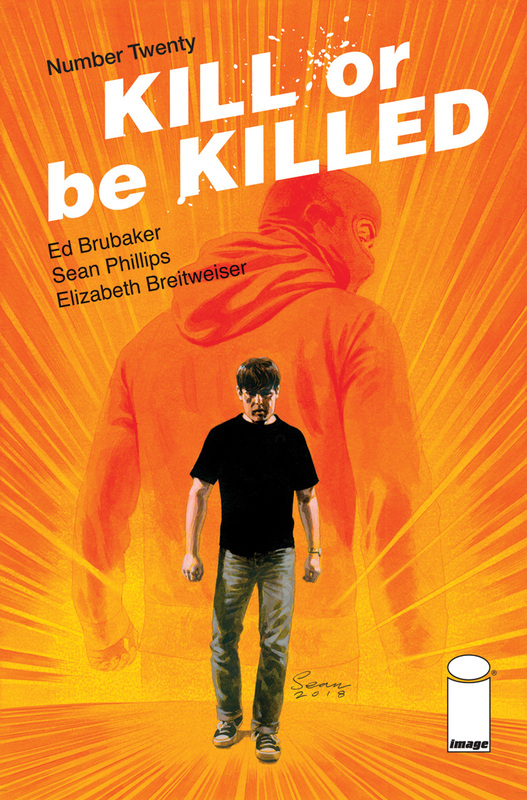 It’s a classic archetype, but in their creator-owned Image Comics series Kill or Be Killed the acclaimed duo of writer Ed Brubaker and artist Sean Phillips have given the vigilante trope a highly compelling facelift by casting a relatively normal person named Dylan as their antihero protagonist. The series, which launched in Aug. 2016, chronicled Dylan’s journey from depressed art student (trying to appease a demon that may or may not be real) to a competent and bloodthirsty killer. Then at the end of the series’ penultimate issue, last month’s #19, the unthinkable happened . . . Dylan was shot and possibly killed by a Russian gangster. So what comes next for the series? 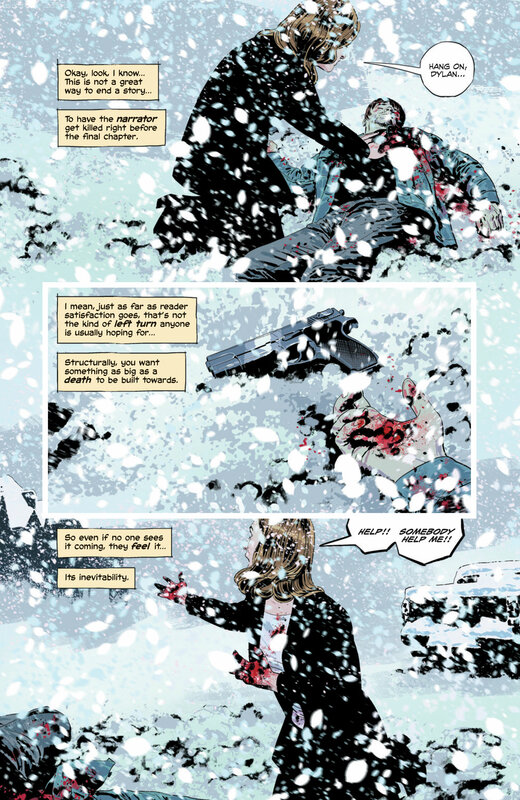 What questions will Brubaker and Phillips tackle in their series finale, this month’s Kill or Be Killed #20? For the answers to those questions and more, CBR spoke with the creators about bringing the series to a close, the journey that Dylan went on over the course of the book and Phillips’ character design work. Additionally, the two discussed their involvement in the feature film adaptation of Kill or Be Killed, which Chad Stahelski — director of the original John Wick — is slated to helm. CBR: You ended issue #19 with a hell of a cliffhanger: Dylan getting shot by a Russian gangster and telling the readers, “That’s how I died.” What teases can you offer up about Kill or Be Killed #20, the series’ final issue? Ed Brubaker: It takes place after that and is the weirdest comic I’ve ever written, probably. I don’t want to spoil it or reveal whether he actually did die, obviously. You’ve mentioned in the past that that you wanted Kill or Be Killed to have some of the feel of monthly superhero comics, but also be completely different. And a big difference between this book and monthly superhero comics from the major publishers is that they tend to keep going, while this is ending. So was Kill or Be Killed always going to end at this point and in this way? What can you tell us about the structure of your story and how it’s evolved? Brubaker: Yeah, I always intended it to end the way it’s ending, but I didn’t know how long it would take to tell the story, and it opened up and did some different things than I thought about at first. It became much more about Dylan’s voice and his struggles and his history than I expected it to. But the structure, at least at first, was very simple, a guy in a mask who has to go out once a month (monthly, see?) and be a vigilante. It was about taking that structure that all of us who grew up going to the shop every week on new comics day have imprinted in our brains, and using it to do something different and familiar at the same time. And of course, the further in you get into a story, the more it just becomes its own thing. Or hopefully, at least. Kill or Be Killed has followed Dylan on a journey from reluctant vigilante who feels he has to kill to appease a demon, to a person who’s clearly developed a taste for killing and enjoys what he’s doing. I can’t help but compare him to a character like Walter White from Breaking Bad who sort of started off as a fairly normal guy and then discovered he had an aptitude for crime and came to enjoy it. Is that a fair comparison? Brubaker: I mean, it isn’t one I was thinking of, but sure. I’ll take it. But Dylan’s probably got just as much in common with Holden Caulfield as he does with Walter White. Sean, a lot of how Dylan feels about killing and violence is evident in his eyes and body language in #19. What was it like drawing him at the end of his journey versus back at the beginning? Sean Phillips: How I draw every character slowly evolves throughout a book, some of it even intentionally. I find it hard to keep on-model for characters, so Dylan ends up looking more like me by the end. He’s purposely drawn more tired looking and unshaven though. All he’s been through takes a toll on his face. I’m not sure that his body language changes much. One of the major running elements of Dylan’s journey in Kill or Be Killed is that we’re unsure if the demon that compelled Dylan to kill was real or a symptom of his mental illness. Is that something you’re interested in definitively answering? Or ultimately will it be up to us readers to decide? Brubaker: No spoilers. Issue #20 deals with this in some ways. The post INTERVIEW: Brubaker & Phillips Wrap Crime Thriller Kill or Be Killed appeared first on CBR.